Bulk-handled MS-63 quality with Full Head ("FH") striking details. 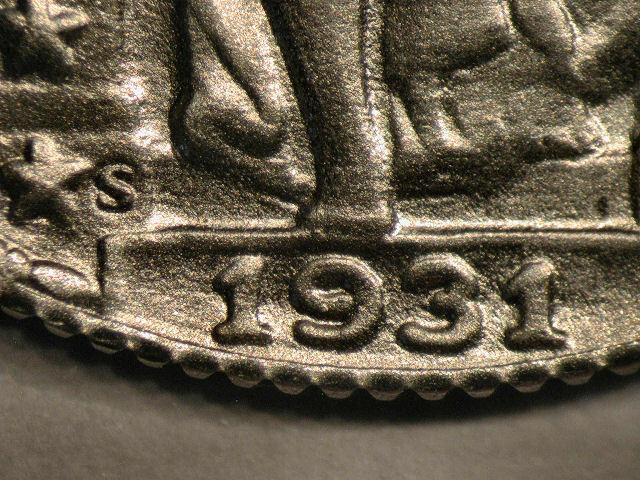 All have slight die erosion next to head. 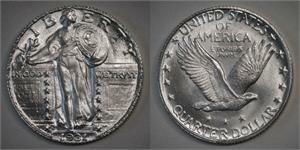 The 1931 Standing Liberty silver quarter dollar is a coin that almost was. 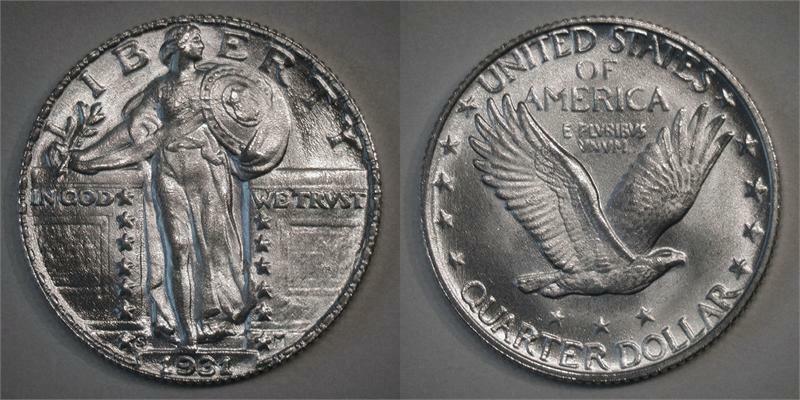 The US Mint performed preliminary preparations to mint them, but no quarters were released in 1931 and none are believed to exist.